Exclusive! 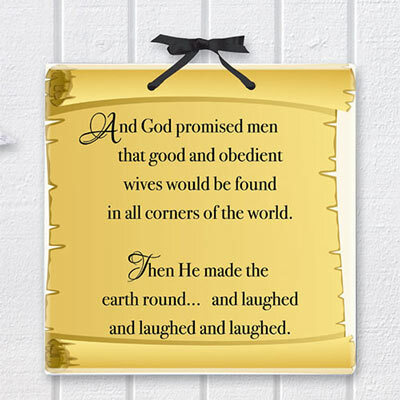 Give your sense of humor free rein with this funny, God Promised! Plaque. Makes a great gift for the comedian in your life, too. Ceramic with a polyester satin ribbon with bow accent makes hanging a snap. Imported. 6" sq.